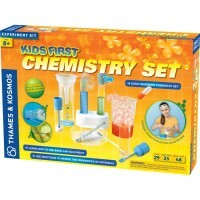 This Scientific Explorer's children wizard science kit comes complete with 9 different magic science activities. 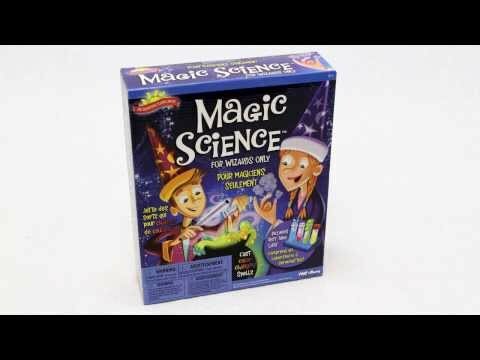 Attention, wizards! 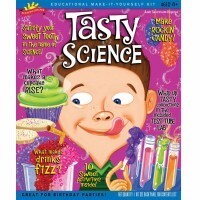 Grab your magic wands and get ready for some science fun! 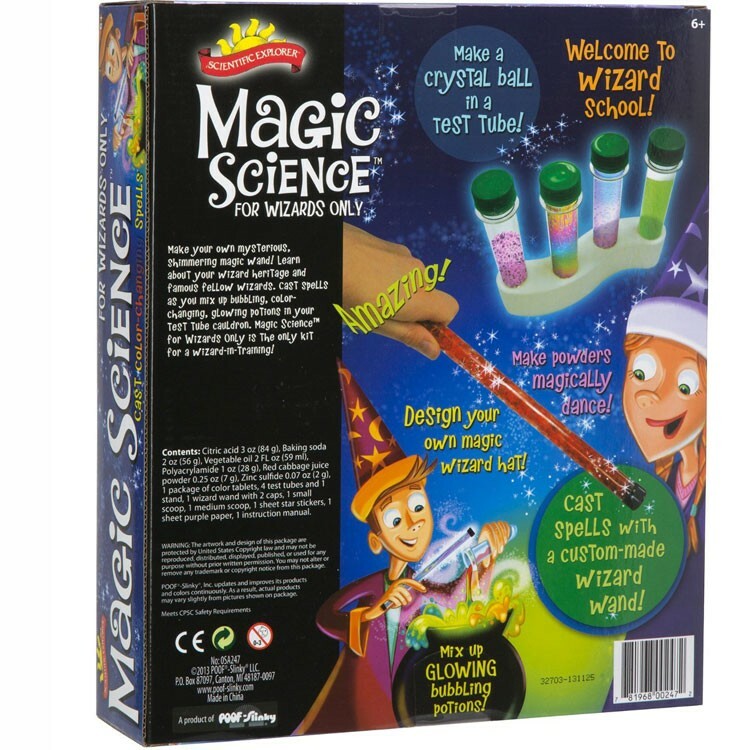 Educational Toys Planet is proud to present Magic Science for Wizards Science Kit, a magical science kit by Scientific Explorer. 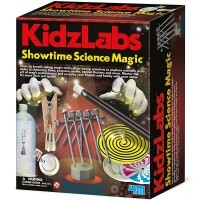 This children wizard science kit comes complete with 9 different activities. 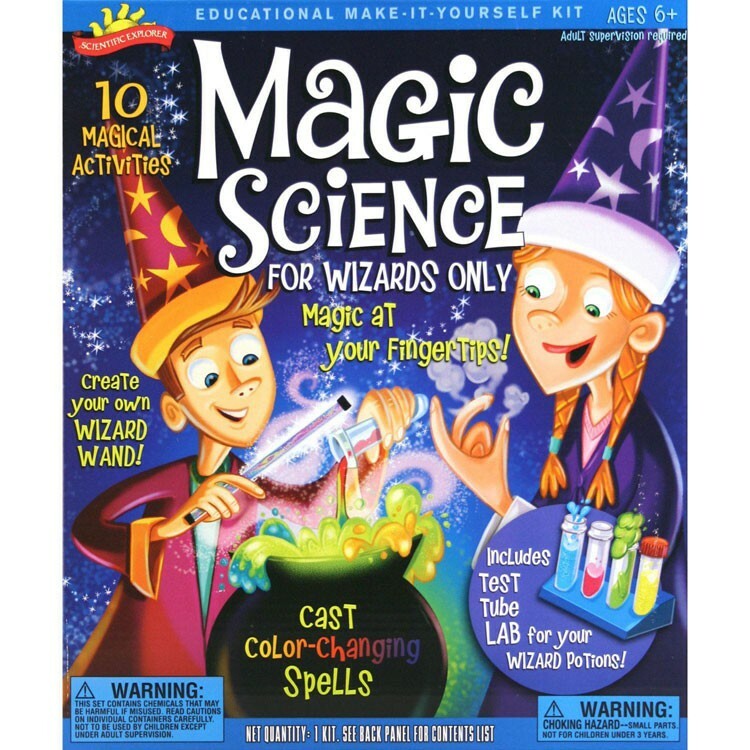 From the enclosed booklet learn about the famous fellow wizards. Make your own shimmering wand. 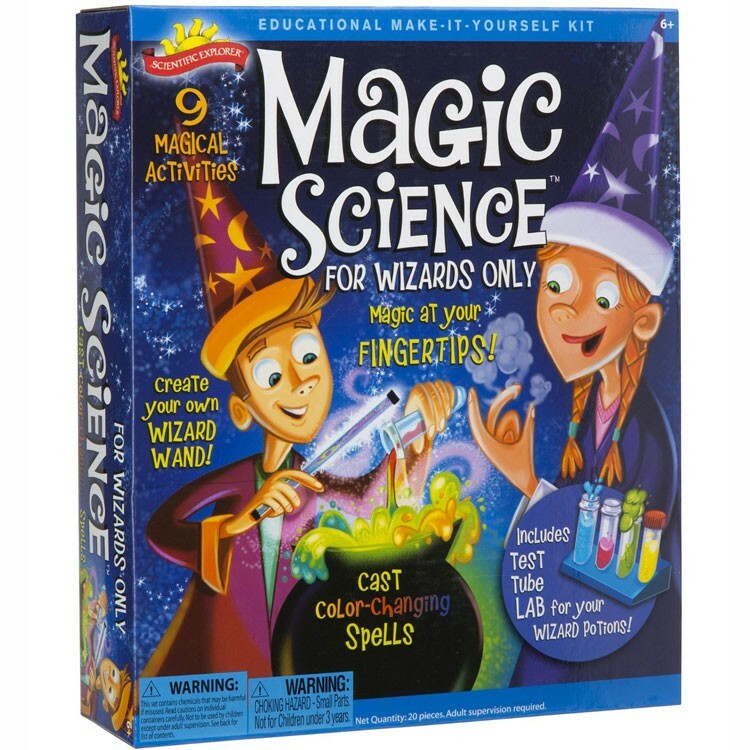 Cast spells as you create real smoke with your wand or fingertips. 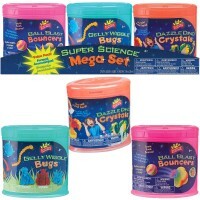 Experiment with potions using special test tubes. 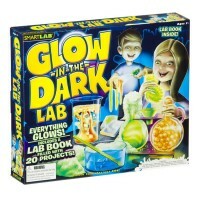 Make bubbling, glow-in-the-dark, color-changing magic potions in the enclosed test tube cauldron. 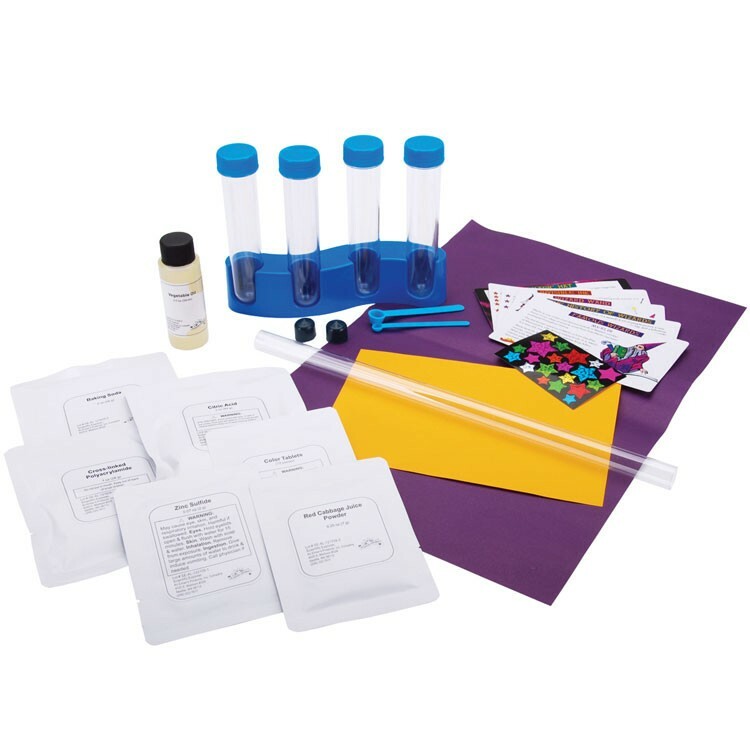 The magic science kit includes citric acid, baking soda, vegetable oil, cross-linked polyacrylate copolymer, red cabbage juice powder, zinc sulfide, package of color tablets, 4 test tubes, a stand, a wizard wand with 2 caps, 2 sizes scoops, stickers, a sheet of purple paper, and wizard activity guide. 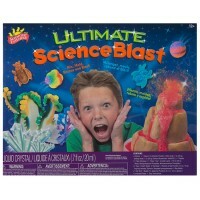 Gather your friends and family to explore, create, and bring out your very best wizard skills. 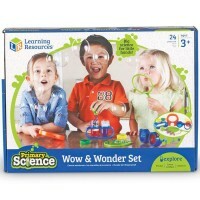 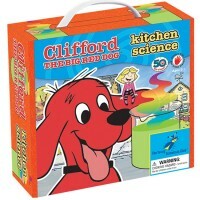 Magic Science for Wizards Science Kit is a great activity set for all curious children. 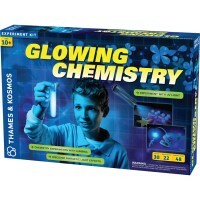 Fall under the spell of science! 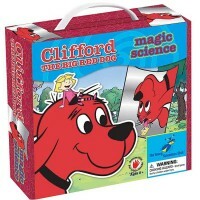 Dimensions of package 10.1" x 2.8" x 12.1"
Write your own review of Magic Science for Wizards Science Kit.